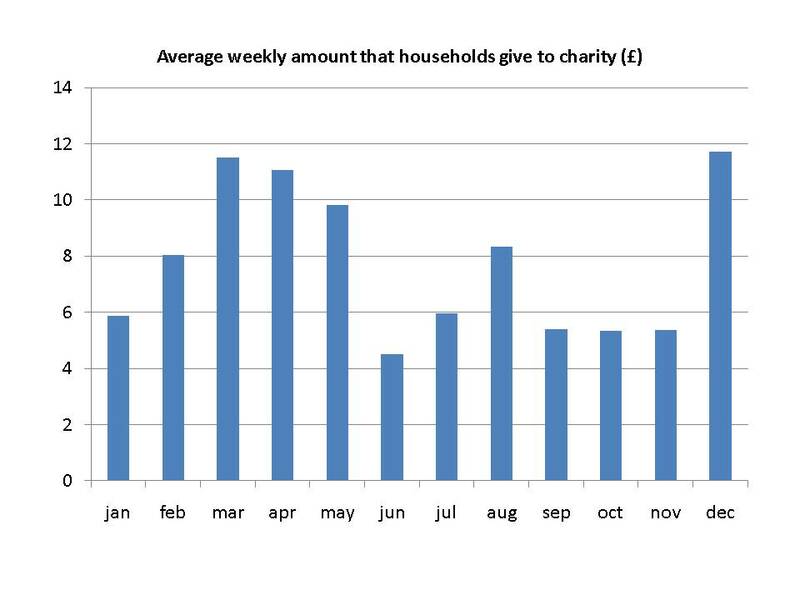 Charitable Giving – How hard can it be? Jeremy Clarkson, of Top Gear fame (among other things), made use of his column in this Sunday’s News Review (in the Sunday Times, paywalled), to bemoan the death of philanthropy, and to propose a surprisingly economist-friendly explanation; the arrival of substitutes. As Mr Clarkson says, “it’s because in the days of (William) Morris, and my great-granddad there wasn’t much you could actually buy”. Certainly it is true that since the 1930s the sheer number of status symbols required to maintain the kind of upper-middle-class lifestyle expected of a Times columnist has increased dramatically, and it is also true that charitable giving is, for many parts of society, on the decline. That people, when given the choice between buying mosquito nets for others half way around the world or a new iPad for themselves, choose the iPad, seems intuitively simple. It is also on sound footing economically; if a preferred substitute comes along, from which you extract greater utility, substituting from one into another is only natural, and as the relative price of the substitute declines (as is typical for technology), we might expect the level of this substitution to increase. Governments of all stripes appear to have agreed with this basic assessment, with the last Labour government reducing the ‘price’ of giving by making Gift Aid, a tax-efficient means of giving, available on donations of all sizes (previously it was available only on donations of £250 of more), and the current, coalition government, aiming to increase the ‘return’ on giving through rises in the Gift Aid Benefit Limit to “enable charities to give ‘thank you’ gifts”. If all this seems sensible, what can we say about the conclusion to the article, that for Philanthropists, “their investment is going to make them a damn sight happier than the man who spent his cash…” on something more frivolous. Traditional economic theory suggests that this should not be the case. Following the Weak Axiom of Revealed Preference (WARP), if an individual chooses to buy a grande skimmed-milk extra shot mocha rather than mosquito nets, we can conclude that he prefers, given his income constraints, coffee to mosquito nets. Simplistically, this situation appears to be Pareto optimal – it is impossible to make one party (those at risk of mosquito-borne-disease) better off, without worsening the lot of another (our coffee drinker). Although it is possible to make a moral argument for redistribution from coffee to mosquito nets to improve social welfare, we might expect Clarkson’s pleading with us to give more to charity to fall upon deaf ears. Some insight into why a narrow view of economics might seem to be wrong, and the Sunday Times’ most controversial columnist might be right, can be found in Behavioural Economics. A large quantity of research, summarized by Dellavigna (2009) and Bernheim & Rangel (1995), suggests that individuals may make decisions which are not only socially undesirable, but personally undesirable as well. While changes in the relative price or value of giving may increase individuals giving, it is, of course, costly to do so, and will be less effective than governments might hope if, as the literature suggests, would-be donors are inattentive to the benefits of giving, or to the changes in policy. In the coffee vs nets example, we can see another reason for the government to explore in depth the lessons of behavioural economics when planning the “Big Society” – these lessons are already being learned, and to great effect, by the firms with which charities are competing for funds. The placement of biscotti, mints and caramel waffles near the till in coffee shops, the offer made by baristas or their local equivalent (“would you like to go large on that?”), and defaulting to a mid-sized cups, are all Nudges; examples of behavioural economics put into practice. It is clear that if the government is to achieve a ‘step change’ in the level of giving in the UK, and in so doing make both donors and recipients happier, charities will need the tools to compete with private firms and the willingness to use them – behavioural economics has the potential to offer those tools, and they are already being used to great effect by the competition. Smith et al (2011): “The State of Donation” Centre for giving and philanthropy.